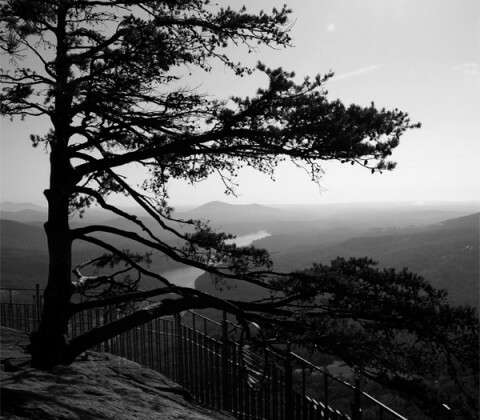 Chimney Rock State Park near Asheville, NC features a 315 foot granite monolith. The rock is accessible via elevator and provides stunning views of the nearby countryside. The park was privately owned until 2007, when the State of North Carolina purchased it from a family for $24 million. 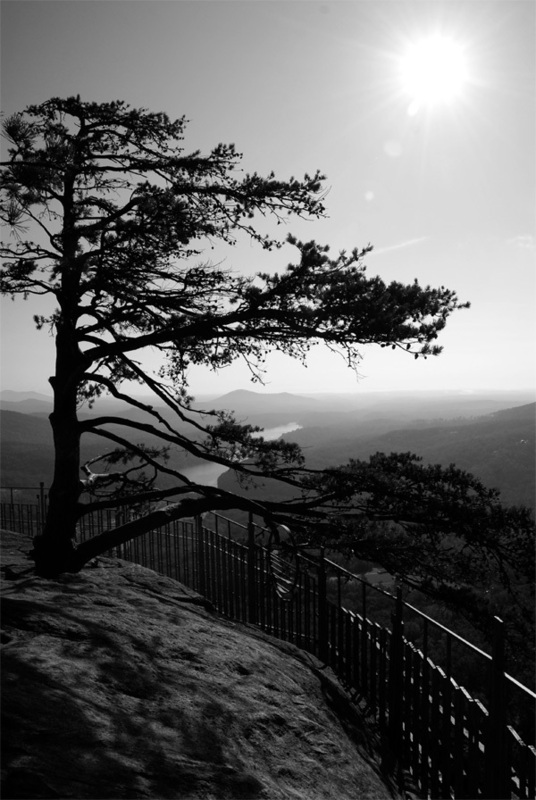 The park offers hiking trails for all skill levels, spectacular views, and a 404-foot waterfall, Hickory Nut Falls.